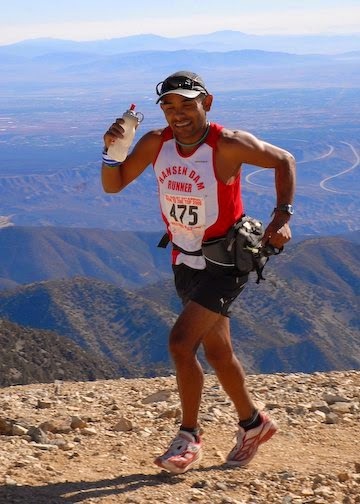 The 2014 Angeles Crest 100 Mile Endurance Run is set to be one of the most exciting editions of the race in several years. The course conditions are the best they've been since the fire, and I can state first hand that the trail has no "bad sections" and very few rough miles (of course, the trail isn't easy, it's just in relatively good shape). The weather might get a little warm, but breezes should kick in. Most important of all, the field of runners assembled is truly the best in Southern California at their peak fitness and focus for the year. Angeles Crest has been called the Western States of SoCal, and I have to agree with that in the regard that the ultra community really comes together to support runners and their goals of endurance. The race contrasts the landscape around the mountain of 10+ million laid back people. On August 2nd at 4:45 AM in Wrightwood, it's hard to find runners that look relaxed or sleepy (except Chris Price, but he always looks that way). The racers, crews, and volunteers take the day very seriously in hopes of carving out a piece of legendary Angeles Crest glory: a win, a silver buckle, a finish, or just a damn good war story for Sunday afternoon. 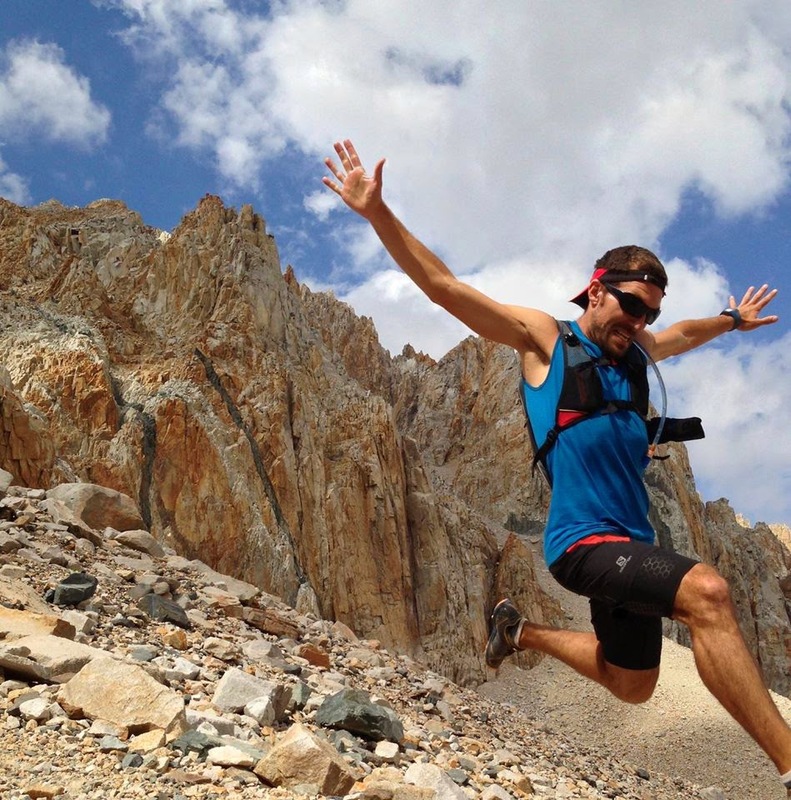 In all the years I've known Chris, we've rarely seen eye to eye on anything: Maximalism vs. Minimalism, high mileage training, pacing strategies, which race is the best, doing the JMT 10 days before Hardrock, clothing styles, which cheap beer is the best, etc. etc. However, this year, we're both honing in on AC. We've been training in the San Gabes for a few years now, and the challenging nature of the mountains has pushed us to get in the best shape of our lives. 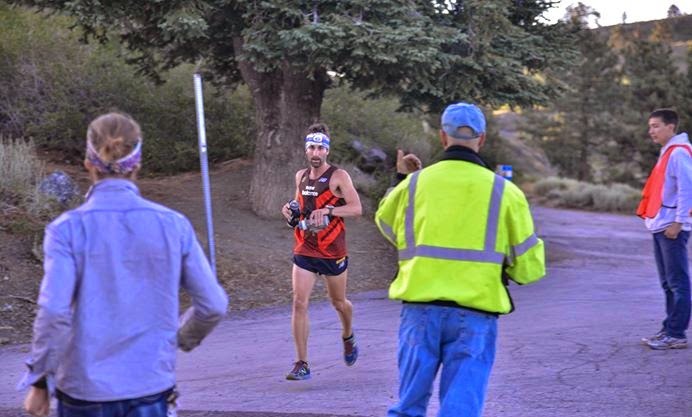 Though Chris struggled at Western States, he still carved out a sub 17 hour finish. Though that's not quite good enough for top 10 on today's stage, but it still is something telling of great potential. Using the 2 hour estimate for WS to AC, if Chris has another off day, he's still looking at a sub 19 hour. However if the cards line up right for Chris, he has the fitness to run below 18 hours. Chris is going to have to be pushed by someone else though to motivate him to run that fast (possibly me). Chris is a big guy with big shoes, that can open up on the downhills. The only thing we'll disagree on this year, is what time we'll get to Chantry. Having run many of Guillaume's volumous training miles with him this year, I can say without a doubt that the Frenchman is nearly bulletproof. When you run 170 miles in 7 days or 600+ miles in a month, you produce insane amounts of endorphins, adrenaline, and testosterone that challenge the very limits of the human body. The big question is whether you can do it on race day. 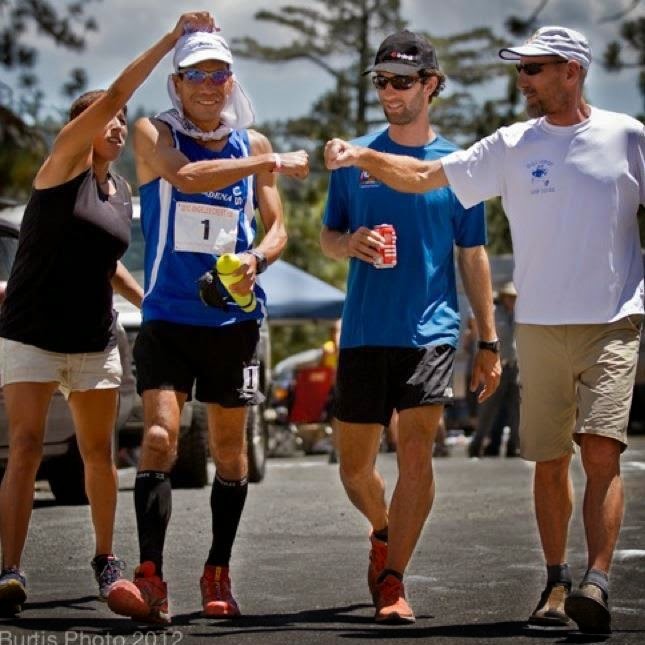 If we could race 100 milers more often and not deal with the post race soreness and injury, I think Guillaume would start to show an undeniable trend of tough, blood and guts, smart, fast running. Unfortunately, you can't really run a 100 every month and compete at a very high level. So, on race day, it's not merely a test of how well Guillaume is trained, but how well he learns from mistakes and makes adjustments on the fly. He's still very young in the sport, and he has to have the courage to run up front and keep all his variables together. If he keeps his stomach happy, his body cool, and doesn't roll and ankle, he can be a threat past Chilao (mi 52). Jorge spends so much time on the course, that he can run the entire course blind folded and never trip on a rock or miss a turn. Earlier this year, the veteran struggled with injuries, but his fitness is incredible with a 1:11 FKT on the Mount Wilson Trail (6.7 mi, 4800ft+). Jorge has been unrelenting in his assault on the course record in the past years which has caused DNF's and epic blowouts. The untold story of Jorge's efforts over the past few years, is that he has been training better than anyone else in the country, but has had bad luck with his race day nutrition and energy. Jorge knows that the course record is incredibly tough, but he never waivers in his yearly assault. As a competitor, I have to admit that I'm always nervous in any race that Jorge shows up to because he has the talent to destroy the entire field. If Jorge finds good luck in his stomach, I won't be suprised if he breaks the record. Ruperto shows an amazing level of toughness on only one day each year. He doesn't care much for other races, but when he lines up in Wrightwood, there's nothing else he wants to do but run well. I could see him taking the win on account of his efficiency, toughness, and determination. However, there's a few runners this year that will likely have breakout performances and run below 19 meaning that Ruperto will have to take more risks to stay within striking distance. One important thing to remember is that like Jorge, his power to weight ratio is very high meaning that he can save a lot of energy early on if he paces himself well and pushes hard at the end. Erik lives at the base of the San Gabriels and gets to experience a bit of awesome singletrack every day. The home course advantage will play to his favor if he can dial in his pacing and nutrition and have a good day. This is much easier said than done early in an ultra career because many mistakes just have to be made to feel out an ideal equation. If Erik finds his x factor on race day, he's capable of running a great rookie time. Ricardo is the kind of guy that has a huge engine for running fast, but still needs to piece together the rest of his chasis. His road running PR's are super stout, and he can climb remarkably fast. The thing about AC is that there's a handful of technical sections, so he's going to have to be careful through those sections and also focus on maintaining his stomach while running further than he ever has before. There's just some people that are naturally talented, and Michele would have to be the most talented at looking good and running fast. Michele ran 2:44 up Mt. Whitney, and led most of the SD100 this year before getting lost. What does that mean on Saturday? It means he's capable of running really well and being very photogenic. Unlike Chris, I will rate myself. I have had some of the best training in my life this year, but I overdid it a bit and ended up exhausting my energy reserves at WS and was zapped by Robinson Flat. The thing about my training is that it's definitely carved my body into a more efficient long distance runner, and the remanents are undeniable on post Western States training runs. Running 24 miles from Vincent to Cloudburst, I was comfortably running my goal race pace or faster which is what I would want 2 weeks out, regardless of whether I had ran States or not. I feel ready to step into the arena and let the CR pace come to me naturally early on (unlike previous years). If something is a little off in the first 37, I'm more confident that taking the time hit is worth it to ensure I can open up my stride at Cloudburst and run the CR pace to Chantry. So, whatever the time defecit from Cooper Canyon's extra 1.2 mi (and any other problems in the first 30), I'm sure that if I can come into Chantry before 5:40 PM, I have a shot to chase down the ghost with a big push in the last 25. This is all dependant though on having a good day, and having the energy that I was lacking at States. In the event of another bad day, I'll still run smart and try to salvage a strong time because I love the course so much. I'm going to run anything from 17-24 hours, and I'm going to fight hard for the best time I can run on race day. Your story is very interesting. Thank you for sharing that I know many people like it. I didn't miss the dirt during the snowy weeks as the highway was so empty and scenic that it met most.